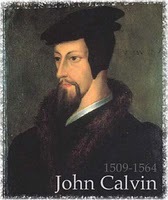 Yep, you heard (or read) the question correctly – Did John Calvin speak in tongues? An interesting read, nonetheless. And, no, it’s not tabloid. You can read the full article at the continuationist blog here.